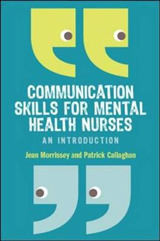 "I recommend this book to students beginning their education in mental health nursing. Its major achievement is showing how the material and knowledge in it 15 chapters may be transferred to real-life clinical settings." 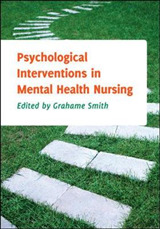 Kevin Gournay, Emerirtus Professor of Psychiatric Nursing, Institute of Psychiatry, Kings College London "This is a comprehensive and reader friendly text that offers students a great introduction and insight into the modern world of mental health nursing. The quotes from students and practical activities engage the reader and enhance application of theory to clinical practice and educational development. 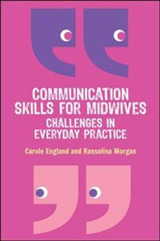 Students will benefit from the guidance and support this book offers to complement their nurse education." Lisa King, Senior Lecturer in Mental Health Nursing, The University of Chester, UK Full of insights into what it's like to be a mental health nursing student, including direct quotes from current students! 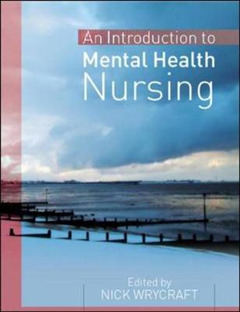 This engaging new textbook provides a student focused introduction to the main issues and themes in mental health nursing. 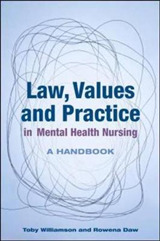 The book requires no previous knowledge and the content has been carefully chosen to reflect the most significant aspects of this important and rewarding area of nursing. The book includes specific chapters on: Social inclusion and the Ten Essential Shared Capabilities. Mental health promotion Mental health at different stages of the life course Physical health issues in mental health settings Mental health law Therapeutic interventions, specifically Cognitive Behavioural Therapy CBT and psychoanalytic/psychodynamic approaches The concept of recovery Scenarios and exercises are used to demonstrate integration of theory and practice. These can be easily linked to your placement experience and overall learning and development. Readers are encouraged to develop an analytical and investigative approach to their studies. 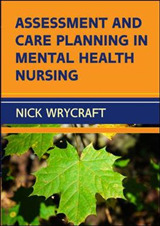 Other important areas covered in the book include the National Service Framework NSF for Mental Health, the Care Programme Approach CPA and the Tidal Model of mental health nursing. Introduction to Mental Health Nursing is the perfect introduction for all nursing students with an interest in a career in mental health nursing. Contributors: Geoffrey Amoateng, Amanda Blackhall, Alyson Buck, David A. Hingley, Richard Khoo, Mark McGrath, Mary Northrop, Tim Schafer, Allen Senivassen, Julie Teatheredge, James Trueman, Henck Van- Bilsen, Steven Walker, Steve Wood.